Empire Aviation (EA), a new division of Air Works India Eng. Pvt. Ltd. specialising in aircraft sales and management operations, has taken its first business jet under management in India. The 2012 model Bombardier Challenger 300 will be based at HAL Airport in Bangalore, where Empire Aviation recently opened its first office in India. This is the first of two business jets to be delivered to Empire Aviation in 2012 and the division expects to have a total of five aircraft under management in India by mid 2013. Dubai-based Empire Aviation Group, a sister company within the Air Works group, already operates the largest managed fleet of business jets in the Middle East with over 20 aircraft under management. The Bombardier Challenger 300 is a 9-seater business jet, manufactured in 2012, and offers a maximum operating range of 5,676 kilometres (around six hours’ flying time), and a maximum operating altitude of 45,000 feet. It can cover city pairs such as Bangalore– Dubai, Bangalore-Singapore, non stop. It incorporates the latest onboard technology for passengers including cabin interior controls on an iPod. 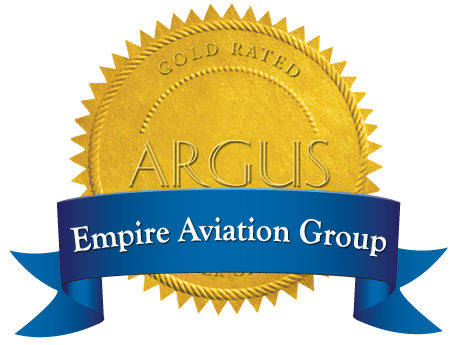 In addition to managing the aircraft, Empire Aviation also undertook the recruitment and training of all crew to CAE standards, which is the standard adopted by Empire Aviation. EA will continue to manage the crew and oversee all flight operations, as well as monitor the aircraft maintenance, on behalf of the owner/operator.